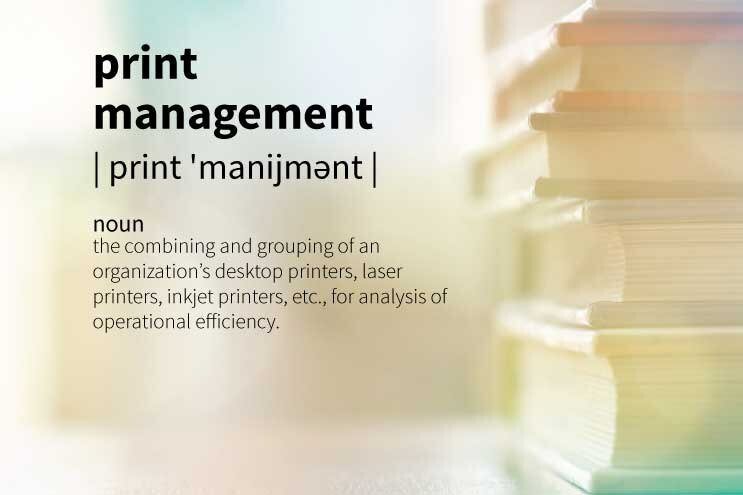 Print management combines all of the printers (desktop, laser, inkjet, etc. ), and groups them together for analysis of operational efficiency and costs for a business. By assessing their volume, maintenance, repairs, and supplies costs, they can identify inefficiencies. This analysis can be done at little or no cost by an authorized dealer resulting in a cost-per-copy (CPC) contract, bundling together all costs into a single monthly fee based on volume. One of the advantages of print management and a CPC allows a business to pay this as an operating expense, instead of capitalizing all of the equipment.